This beautiful creature is dressed up in gorgeous ornate patterns. Hanging from it’s antlers are strings with black beads. 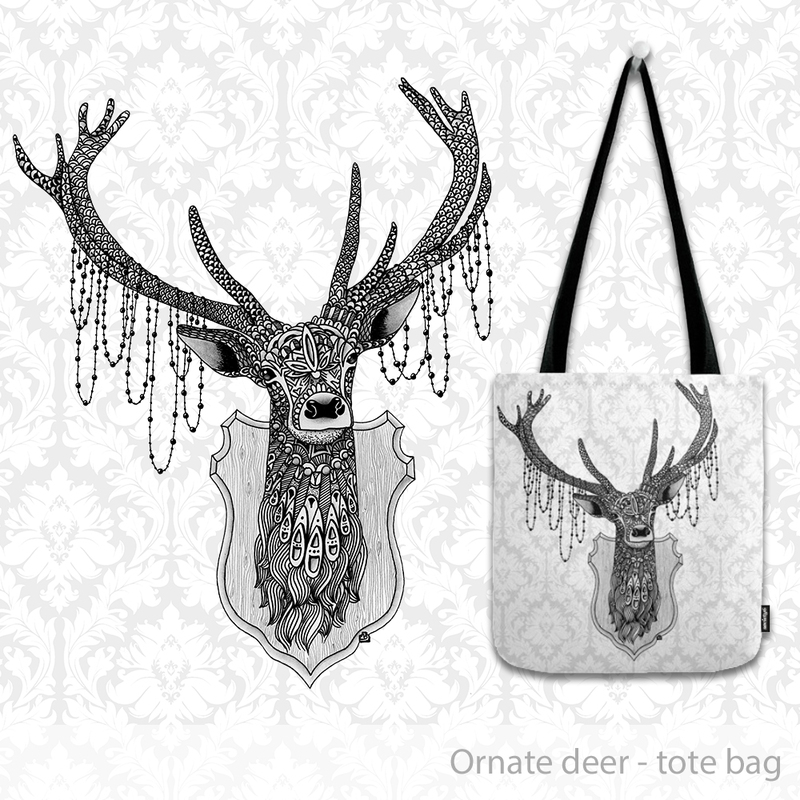 The deer is placed on a subtle light grey damask pattern. Available in sizes 13″x13″, 16″x16″ and 18″x18″. 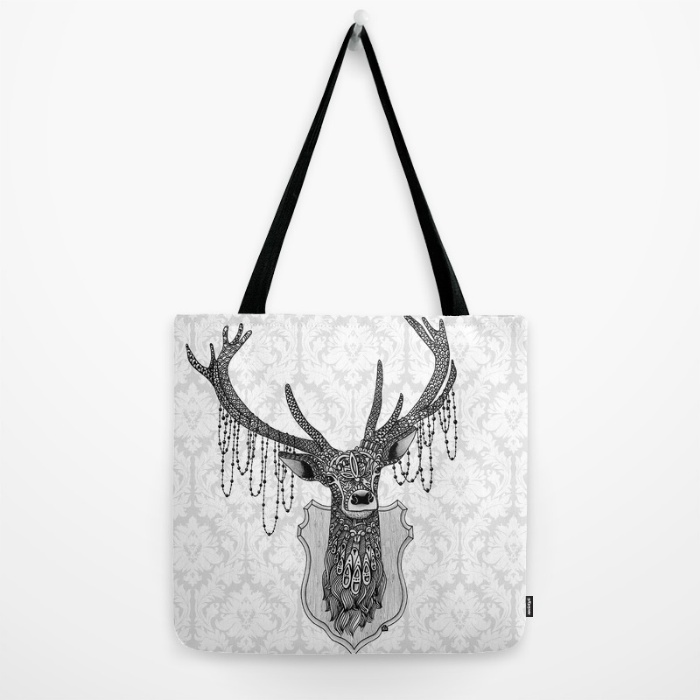 The original art for this ornate deer tote bag was created by hand with ink and pencil. 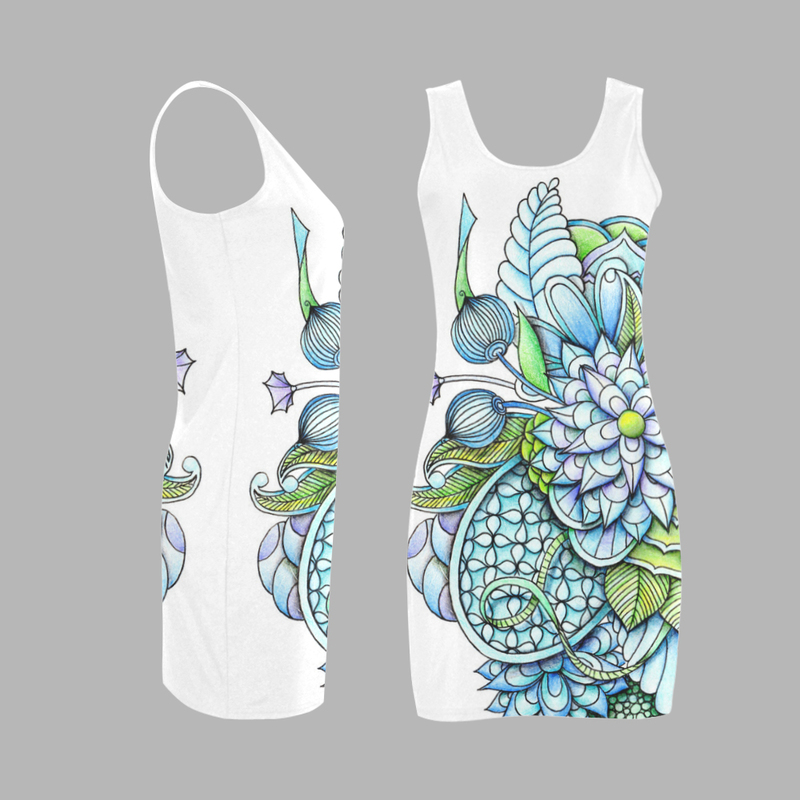 All the patterns and ornate little details were drawn in before this fellow joined the digital world. 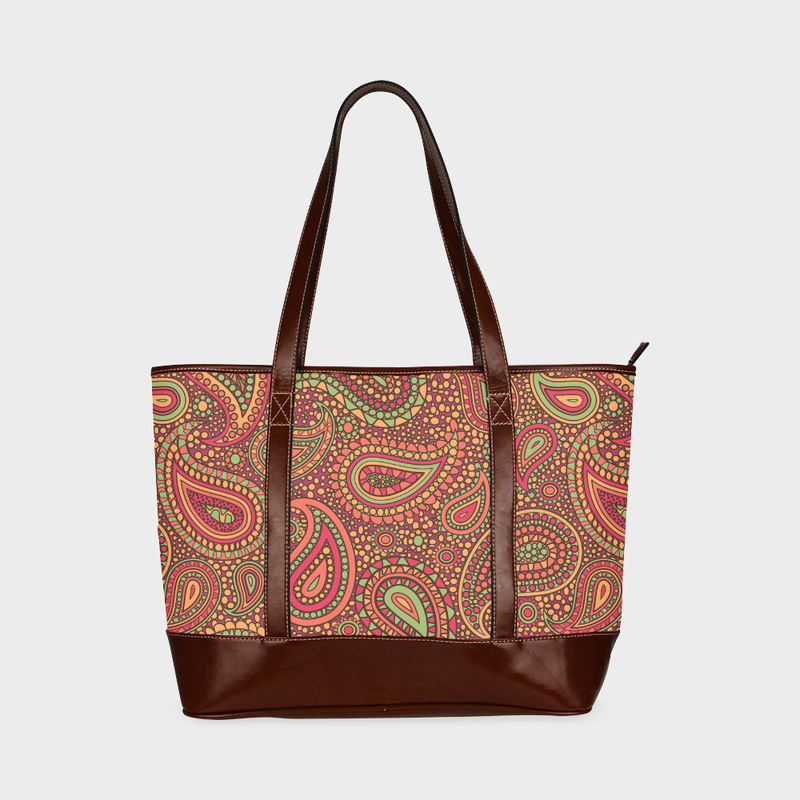 There it was cleaned up a bit, placed on a damask pattern background and added as a feature design of this tote bag. He seems quite happy there, but would be much happier hanging from your shoulder. 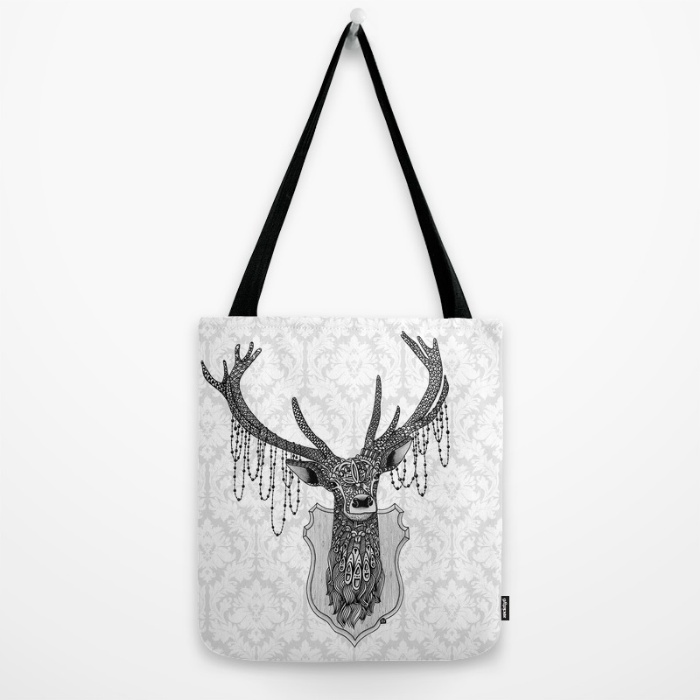 This quality crafted ornate deer tote Bag is hand sewn in America. Durable, yet lightweight, poly poplin fabric is used. All seams and stress points are double stitched for durability. 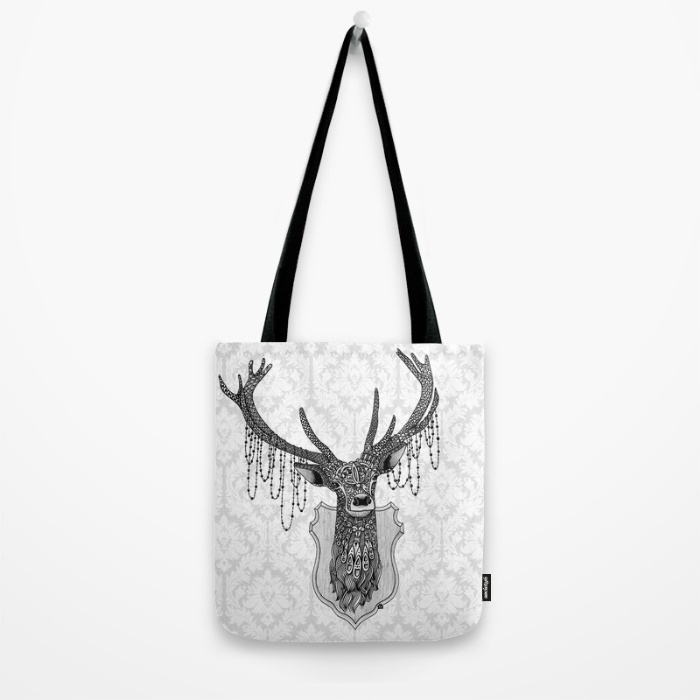 They are washable, feature original artwork on both sides and a sturdy 1″ wide cotton webbing strap for comfortably carrying over your shoulder.